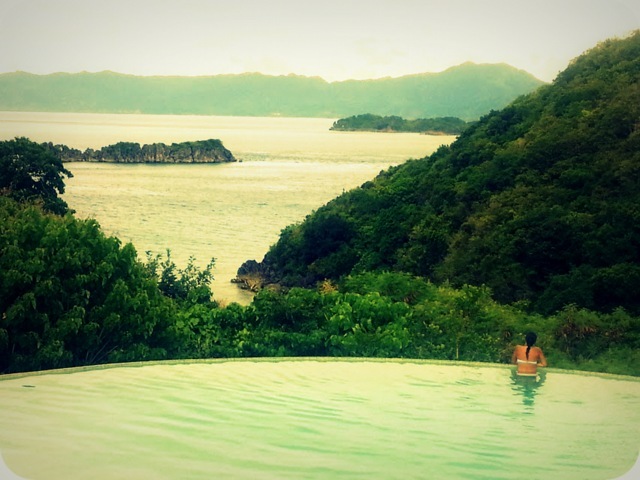 She May Be Moody, But Holy Smithereens, Caramoan is Beautiful! 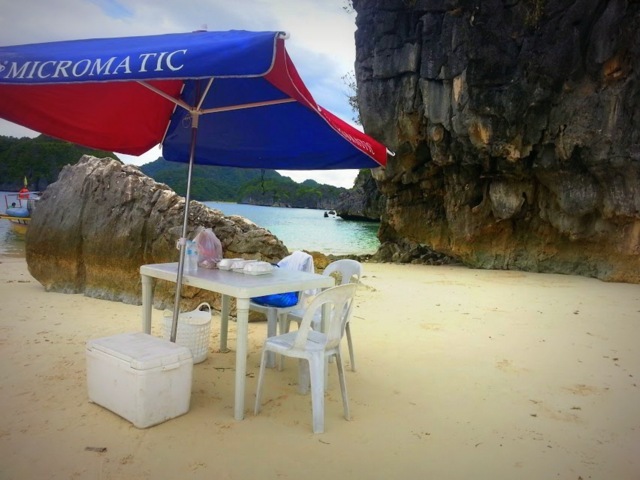 When in Caramoan, island-hopping should not be an option. It is a MUST. 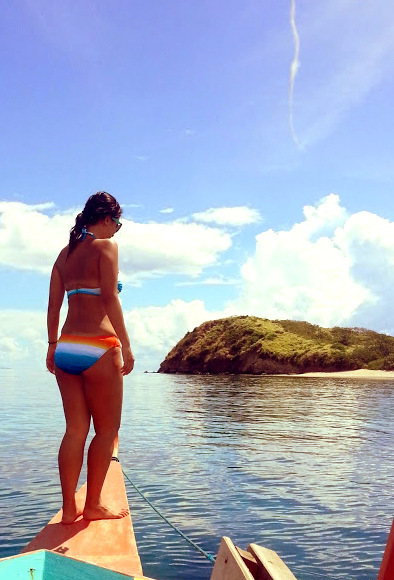 Caramoan is a beautiful cluster of small islands so there’s no other way to explore but hop on a boat, and choose your own adventure. And I do mean it quite seriously. 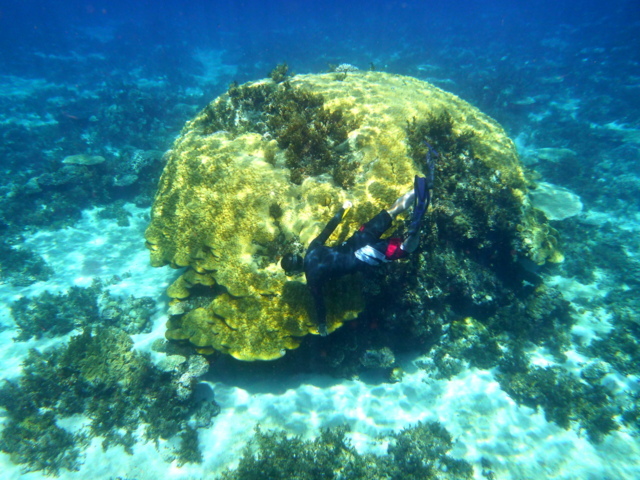 Remember the breath-taking underwater world that I recently showed of Caramoan? We didn’t find them through guidebooks or internet resource. 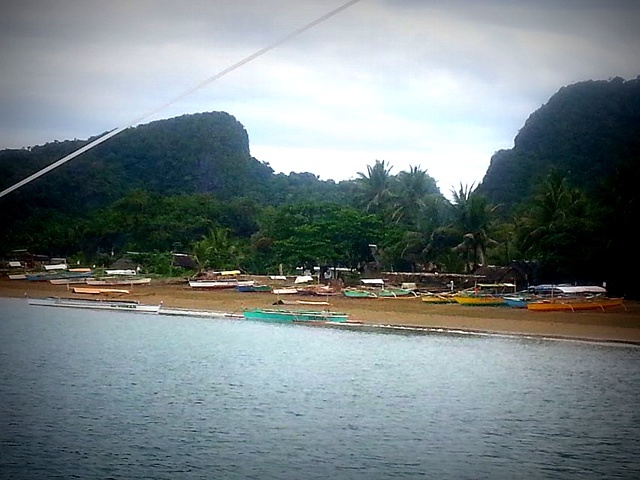 I was so busy prior to this trip I didn’t have much time to research on Caramoan. 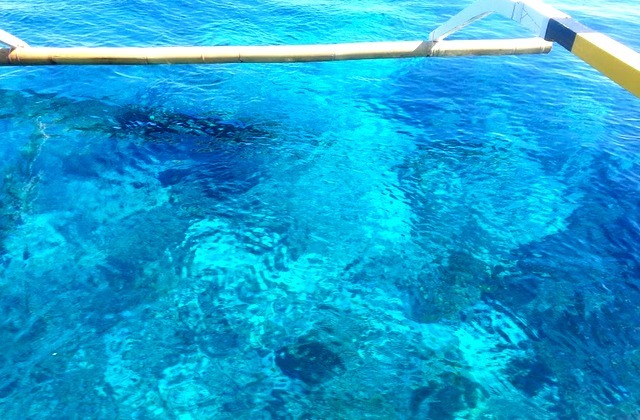 The boatmen and hotel staff took us to shallow areas when we asked where best to snorkel. Unsatisfied, we asked to cruise around the seas in the boat, and when we saw (or felt) that something nice was beneath those magnificent waters, we stopped and jumped in. We were never disappointed with our random jumps. 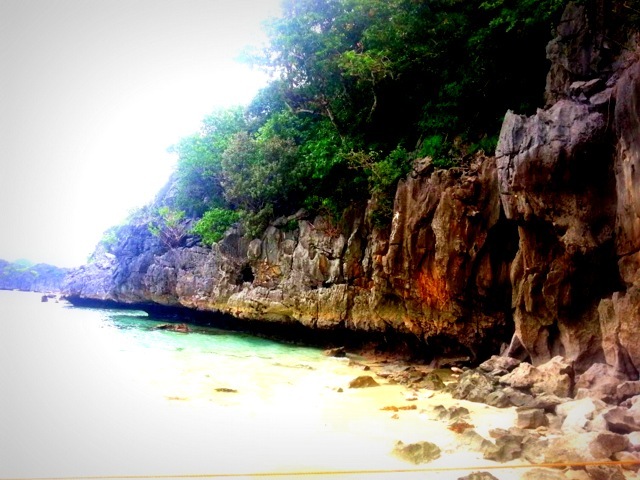 And what amazes me is how oblivious and uninterested the boatmen and resort staff were whenever we surfaced, telling them just how beautiful it is underneath. It could be that they’re so used to living in paradise! 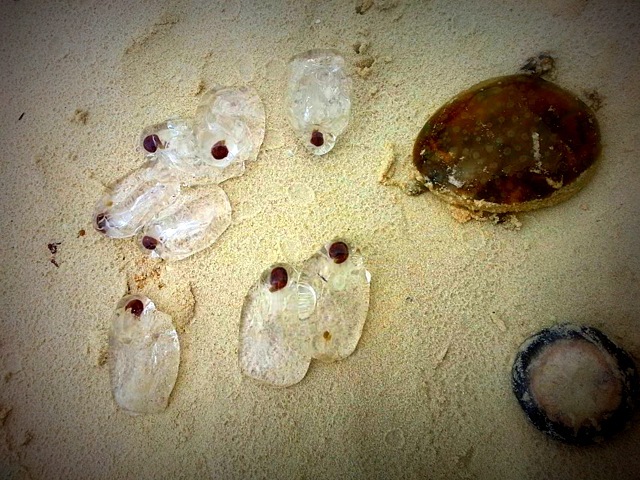 In the middle of one of our jumps, we were suddenly confronted by a wave of jellyfish swimming towards us. It wasn’t so much the army of jellyfish that fazed me abit but the sunny underwater scene all of a sudden turned dark, wavy, and really cold. Well thank heavens for the jellyfish march, otherwise we wouldn’t have known that it was already storming! Sweet and sunny one minute, dark and lashing the next. 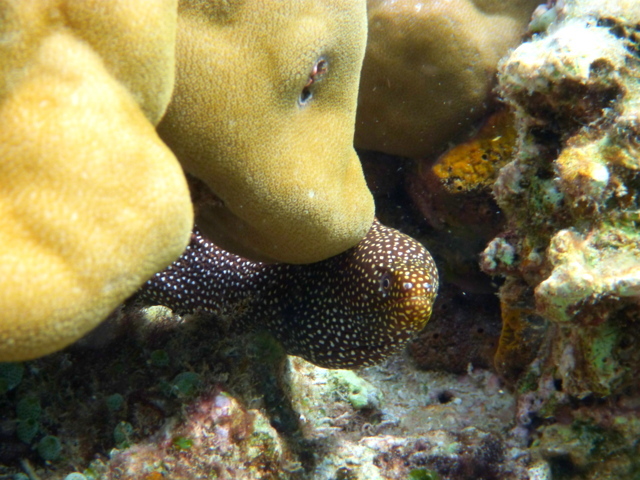 We were told that Caramoan regularly gets into PMS mode everyday. I’m not sure if its because we were there the third week of May (going into typhoon season), but the boatmen told us this is quite normal anytime of the year. Mind you this wasn’t just regular rain or drizzle. It was felt like mild gale-force winds. And they were angry drops of rain. 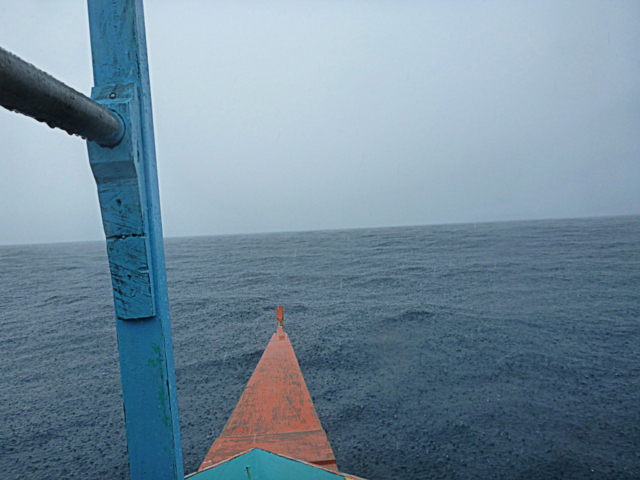 And thanks to our restless butts, we were in the middle of the ocean at that. It was too dangerous to keep going so we just waited till the angry storm passed. Our little boat was fully prepared for it though. 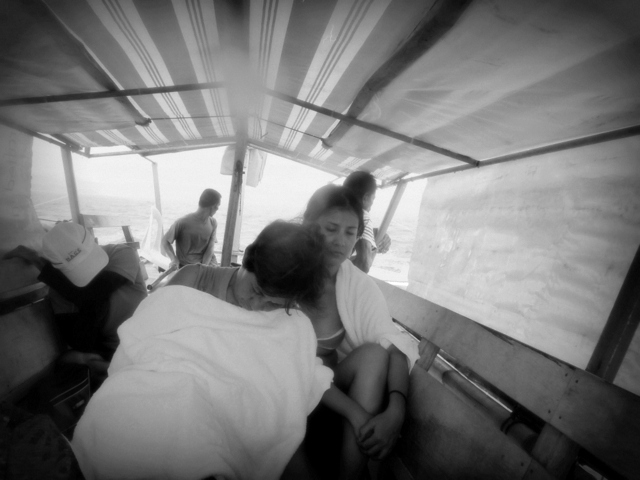 The tarpaulins were rolled down immediately. It was probably 40 minutes till the wind and rain died down abit. It was past lunchtime by the time we moved again and we were ravenously hungry. So we picked a random island- probably the nearest we saw. And the boatmen pitched a lunch table right then and there. 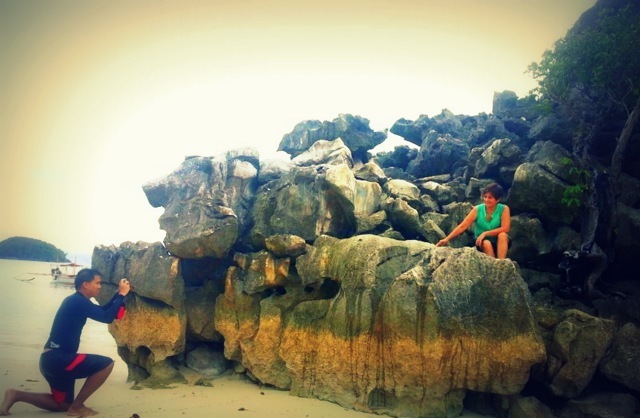 It was a quiet little island that had amazing rock formations. And with the gloomy overcast clouds, it was a perfect location for a lazy and windy late lunch. 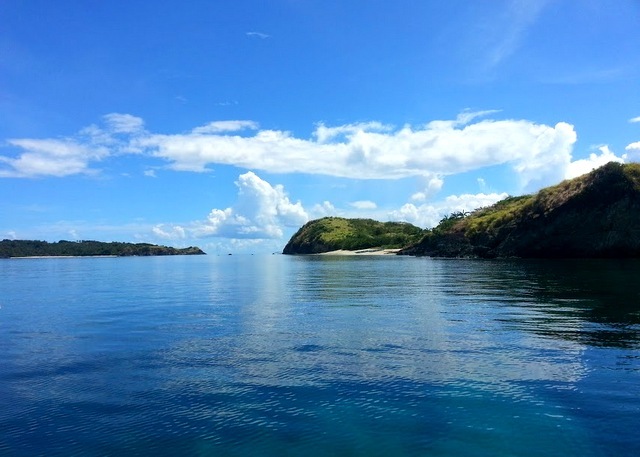 A sleepy little island where I found out just how many Survivor TV Series has been shot (and is being shot at the time) in Caramoan. What caught my attention more though was this group of kids pumping water. I noticed that while one was busy pumping water, another was pouring water down the pipe. I asked them what they did that for, and these little kids taught me something about science – apparently, the pipe/tube where the water comes out is not tight, so air comes in. When that happens , the one pumping the water exerts more effort because only minimal water comes out. So when one pours abit of water while another pumps, it prevents air from seeping in so more water comes out! Genius!!! 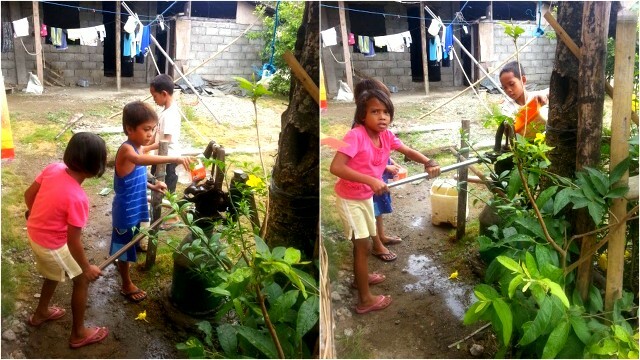 genius island kids taught me a thing about water and pressure! 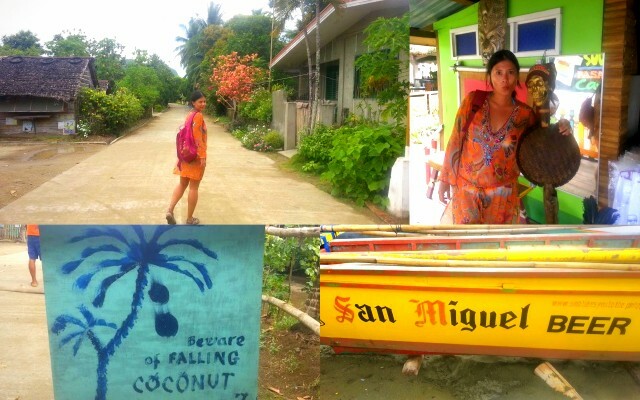 as we headed back to the resort island, I realised how much Caramoan made me happy. 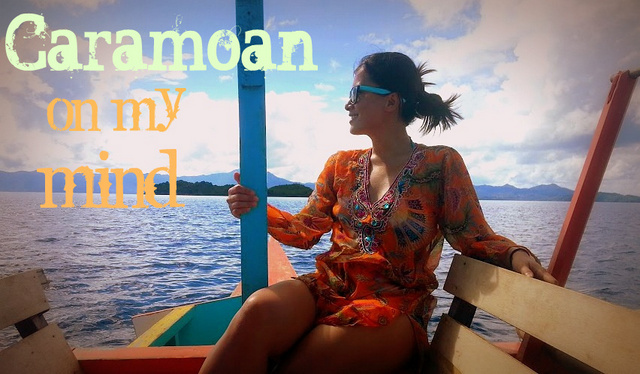 Right now, thinking and writing about Caramoan makes me happy. 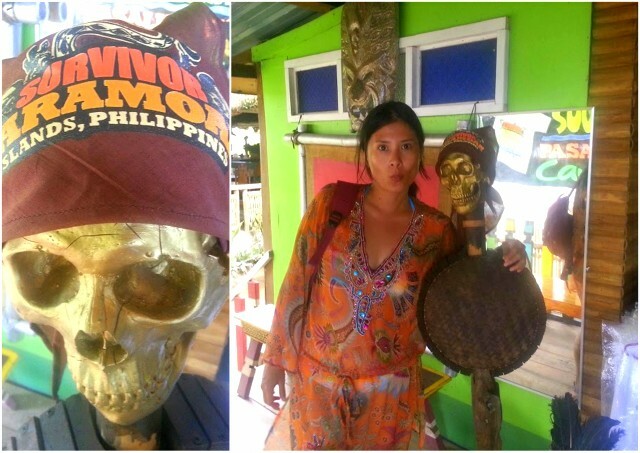 Save for the “Survivor” merchandise, there wasn’t any sign of commercialism in the island. I hope it remains that way. Lucky for me, even if Caramoan becomes the next Coron or worse, Boracay, there’s still over 7,000 islands in the Philippines to choose from. 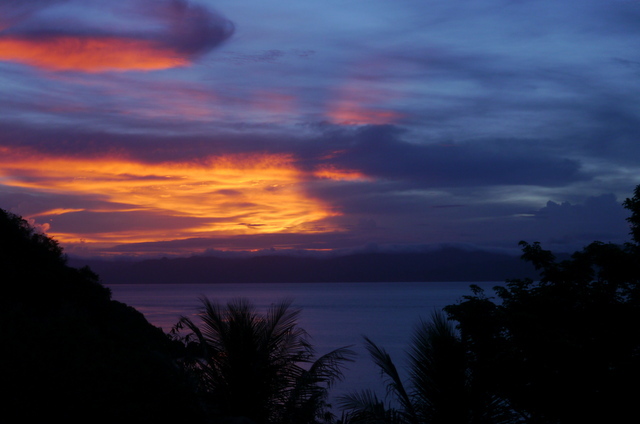 Sunset in Caramoan. Another Holy Smithereens moment. Do you have your own special place that you don’t want others flocking to? Oh please, do share! Hi! 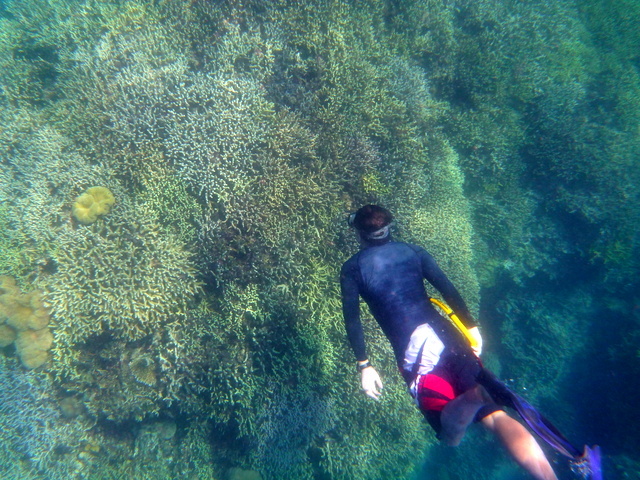 I came across your video in YouTube and I really liked the snorkeling part in Caramoan. I’m planning to visit Philippines this year and go to Caramoan. 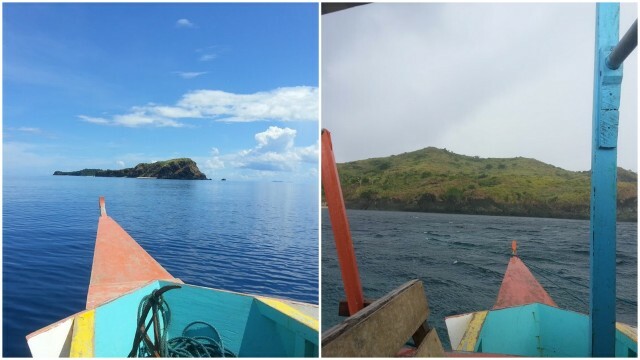 If you don’t mind me asking, which island did you stay (Lahuy, Matukad, Gota, Hunongan…)? I know the resort is in a peninsula so it may not be in one of the islands you mentioned. However, island hopping is easy. Hope this helps! Thank you so much Jean for the info. I heard it was rather difficult getting in Caramoan. It requires a lot transfers from land travel to sea travel. I hope I don’t get too burned out from all those transfers. Could you tell me how much did you spend on the room per night in Tugawe Cove Resort? I’m still looking on where should I stay. The room really looks beautiful, spacious, and clean. Probably one of the best rooms I have seen so far.